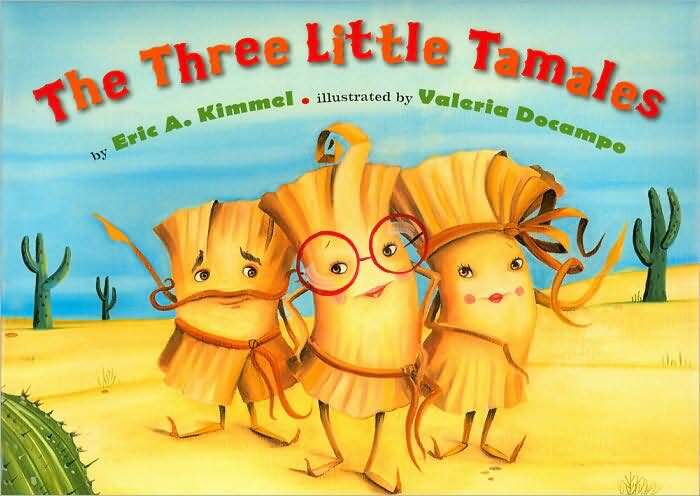 A clever spin on the Three Little Pigs, The Three Little Tamales introduces us to Tía Lupe and Tío Jose who make the best tamales and tortillas in all of Texas. Not so great for the tamales. At a tortilla’s urging, they hit the road – the first to a prairie, the second to a cornfield, the third to a desert – and build a casita. This is a wonderful read-aloud / sing-along for ages 2 and up. It includes a glossary of the Spanish terms that are sprinkled throughout the book, and uses repetitive text that makes it easy for toddlers and preschoolers to follow. A wonderful find from our local librarian.